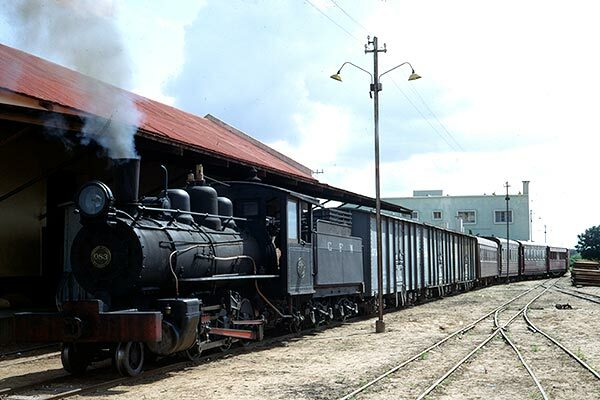 Caption - Mozambique Railways (CFM) 762mm gauge Alco 2-6-0 no.083 is seen at Villa de João Belo station in southern Mozambique on the Gaza Railway in September 1973. This line had two branches to Chicomo and Mauela and totalled about 140 km in length. After Mozambique's independence from Portugal in 1975, João Belo was renamed Xai-Xai. The railway survived into the 1990's and there has been talk of preserving the railway with steam operation.